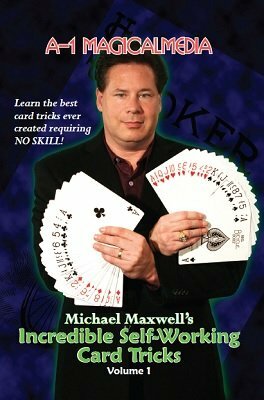 Michael Maxwell has painstakingly researched and compiled what he considers to be the most amazing "self working card tricks," ever created - amazing tricks requiring no skill! These are killer card tricks to have in your arsenal for those special occasions when someone hands you a deck and says, "Hey, Mr. Magician, show us a trick!" Even if you have never handled a deck of cards before, you can easily master these diabolical effects. Special care has been taken to include effects that are not generally known, even to knowledgeable card men.